Silicone Strap for Xiaomi Mi Band 2 is easy to remove or install your mi 2 band and specialized replacement wristband for your Mi Band 2. 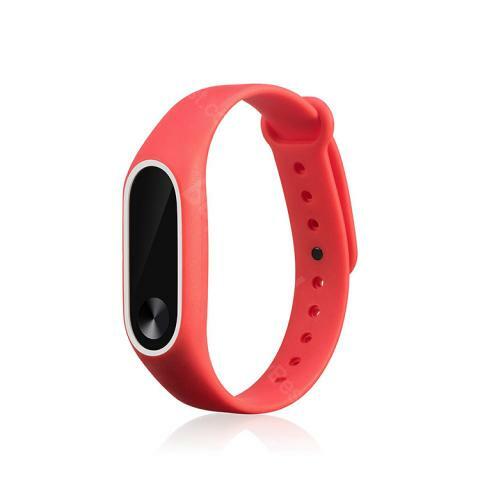 Silicone Strap for Xiaomi Mi Band 2 is specialized replacement wristband for your Mi Band 2 and unique design for easy remove or install your mi 2 band. 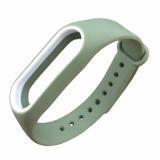 With high quality silicone material, Silicone Strap is non-toxic, tasteless, no side effects on the human body and resistant to high temperature. Smooth soft surface make your hands comfortable and optional bright colors make your Mi Band 2 stand out from other ordinary ones. Order this Silicone Strap for my Xiaomi Mi Band 2. Comfortable to wear. The silicone strap is just as good as the original, fits my old xiaomi pretty well. Highly recommend these accessories for your Xiaomi Mi Band 2! Exactly what is expected. 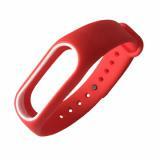 the silicone strap fits perfectly, great material, very soft, easy to use. it's worth the buy. The prices on this site are great. I used a $5 gift card for my order and it's fabulous. 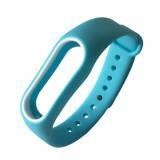 The silicone strap is very useful. Fits my Mi band just fine. High quality material. the price is reasonable. Love it!